Dutch, English, Spanish, German, French and Italian language courses have been our specialty for over 40 years. All of our teachers are native speakers and are highly qualified. This enables them to teach beginners and advanced students, whether it involves daily or specific / business language use. Each course is a tailor-made course, which means that the course is composed by taking into account the students’ current and the desired language skill level. Private lessons are the highest form of custom-made education. This training is ideal for students with specific needs. You will receive one-on-one lessons to work on exactly those aspects of the language that are most important for you to work on. For some, this will be the strengthening of speaking skills, whereas for others writing skills may require extra attention. This course form gives students the advantage of being able to learn from a lot of interaction. This is especially suitable for business purposes. The groups consist of 4-8 students who have approximately the same skill level and education level. 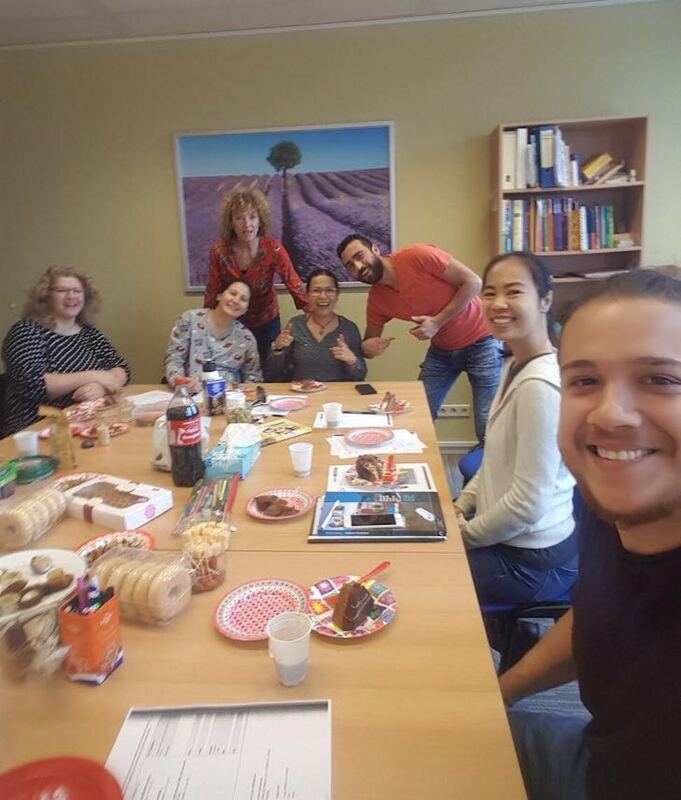 In general, our Dutch courses consist of either private lessons or the combination of language lab and private lessons. The language lab lessons lay the foundation. These lessons are particularly suitable for real beginners, but also for those who want to quickly regain their lost knowledge. Through this method you will be able to acquire fluency quickly and effectively. Our language lab offers flexibility: you can determine the lesson schedule and the learning pace yourself within the opening hours. There will always be a supervisor present who can help you, while you follow the lessons independently. What’s the price of a language course? To give an idea: the course prices are usually between 500 and 2000 euros. How long does a language course take? Language course duration may vary between 2 and 6 months. This depends, for example, on the frequency of the classes and the rate at which the student learns the new language. No, we are exempt from VAT. Can the lessons also take place in the evening? Yes, they can. We are open from 9:00 – 21:00. Can the lessons take place in a different location? Yes, the classes can also take place on site. If this is outside Hilversum, the travel costs and travel time will also be charged. Can I switch to a different teacher? Why does Fairfield College not provide crash courses? Fairfield College does not provide crash courses, because crash courses have been shown to lead to inferior results. Quality, efficiency and high costumer satisfaction are of the utmost importance to us. This enables us to provide high quality education at any desired level. The language courses are custom-made in consultation with the student and are suitable for every level. Together with the efforts of the students, we bring them from their current level to their desired level.